Your always capturing so many different part of a wedding, your eyes and heart are constant. When a client hires you and there are children involved, they always make it sound has if the wedding is about them, they care so much that they make sure to remind you all of the time to you capture them. I am always ready for this, and at this 2014 wedding at the beautiful Charleston Harbor Resort and Marina, Mount Pleasant, sc. I had the pleasure of experiencing that type of photography. 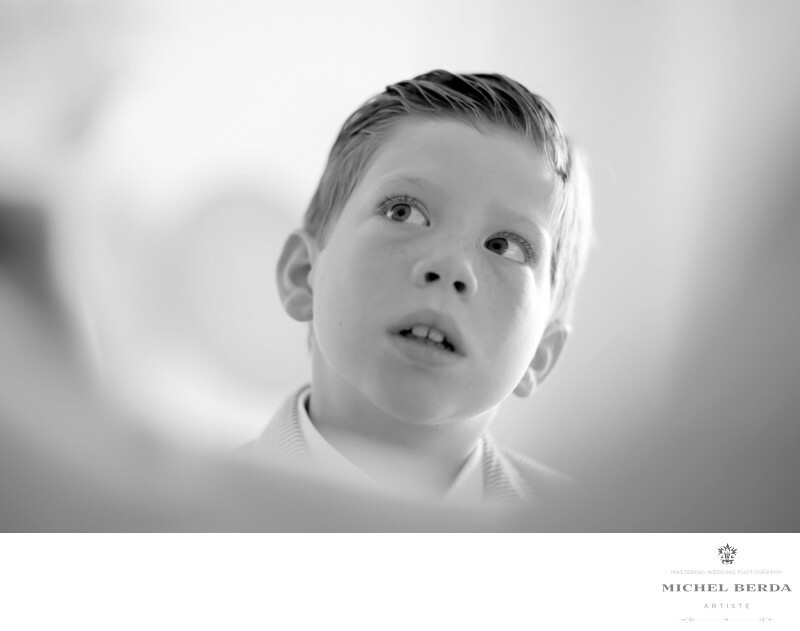 I walked into the room to capture the groom and his father, the boy was there watching it all, and was so in tune with everything. I saw his total focus on the groom, so I had a few second to catch this moment and went down on my knees, and as I looked threw my lens, I realized that what I was about to capture was not yet as artistic as I wanted to be, so I moved to my right where I photographed this image threw the groom father arms, to give it that nice round vignette and it also gave the best portrait light. I love this image, and the exposure such a great thinking expression.Keywords: Charleston Harbor Resort and Marina (6).